Today is the last day of Golden Week. It’s a series of consecutive holidays in May that are known collectively as “Golden Week”. We decided to take a two-day trip to Kyoto during Golden Week this year. So, in early morning of May 4th, we took a fast but comfortable 新幹線 (bullet train) to Kyoto. We stayed in a nice hotel that overlooked 琵琶湖 (Lake Biwa), the largest lake in Japan. And we took the bullet train back to Tokyo in the evening of May 5th. We had a really good time and got to see many of Kyoto’s famous sites. We took this 新幹線 (bullet train) to Kyoto from Tokyo on May 4th. View from the bullet train window. Even the local trains were a bit different from Tokyo’s. The famous Fushi-Inari Temple in Kyoto. 1000 torii gates at Fushimi-Inari. 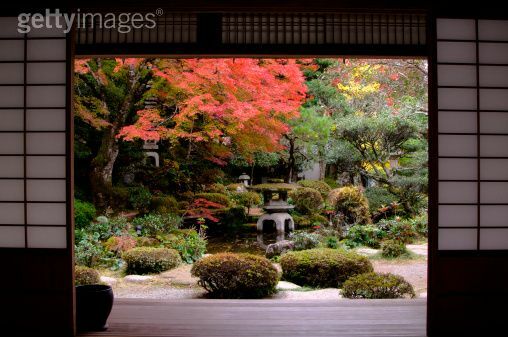 The famous Byoudou-in Temple in Kyoto. This temple is shown on the backside of the Japanese ¥10 coin. Our hotel had a lovely view of the largest lake in Japan: 琵琶湖 (Lake Biwa). Delicious dinner at our hotel. 近江牛 (O-mi-gyu Beef)! The second (and final) day of our trip (2015 May 5th), the weather was much nicer! The famous 嵐山公園 (Arashi-yama Koen) in Kyoto. 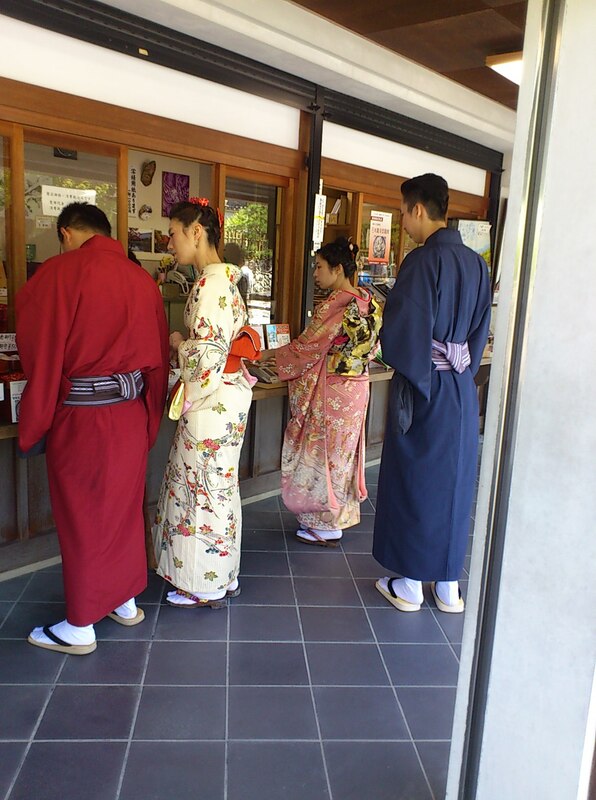 many people wear kimono in the ancient city of Kyoto. The famous 金閣寺 (Kinkaku-ji) Temple is covered in gold. 6PM on May 5th, 2015 at Kyoto Station to take the bullet train back home in Tokyo. 京都駅 (Kyoto Station)…we had a good time! I have been living in Japan for most of my life. I came here when I was twenty years old…and that was over twenty years ago now. 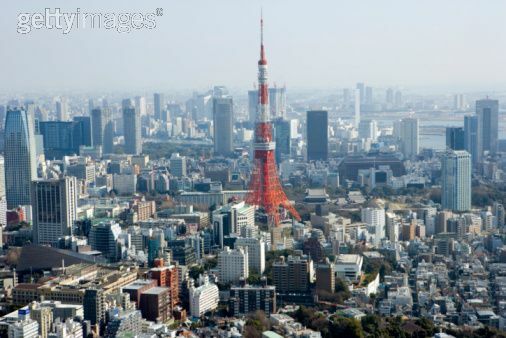 I think Japan is the most beautiful country in the world and Tokyo is the best city. I wanted to show some scenes that I see regularly in Japan and I may have started taking for granted but they are a part of what makes Japan so special. Rather than go through the photos in my camera’s memory cards, I decided to be a bit lazy and see what I could find online. 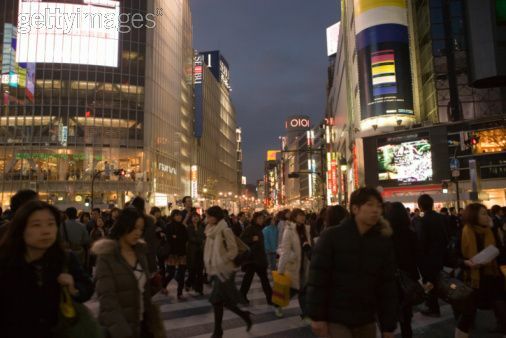 I found a website called Getty Images that has many stock photos…some of them of Japan. The people who take these photos must have cameras that are much nicer than mine because they took some really nice photos. 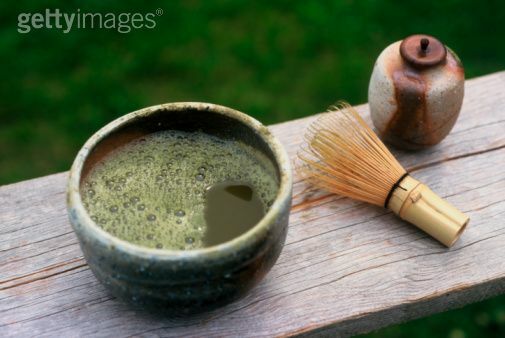 I use photos that I took myself in most of my blog posts, but the following photos are from Getty Images. 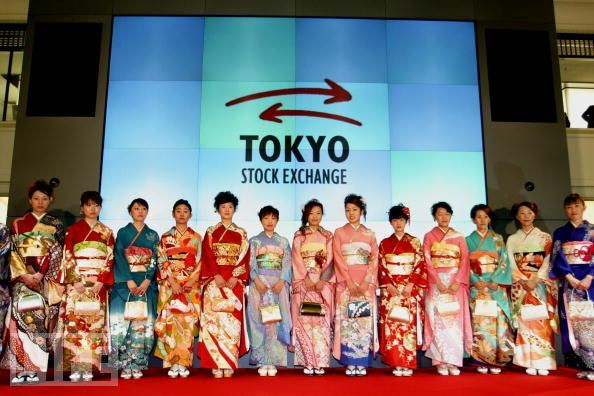 Every January, when the "Tokyo Stock Exchange" reopens after the New Years holidays, the female staff wear kimono. 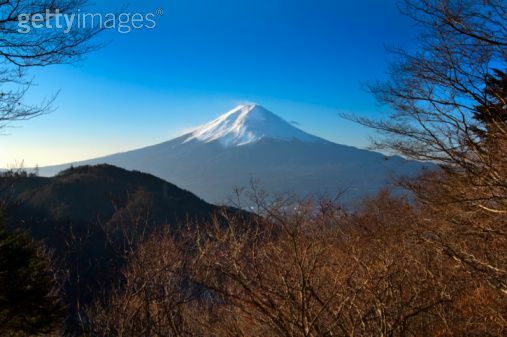 The symbol of Japan: 富士山 (Mount Fuji). 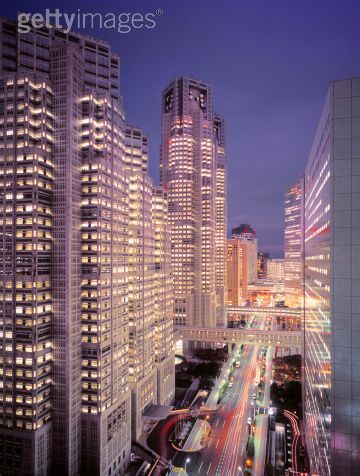 The Shinjuku area of Tokyo. By the way, today is the seventh day of the New Year. 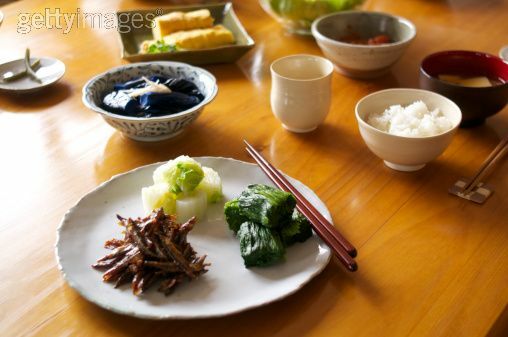 On this day it is Japanese custom to eat 「七草粥」 (“Seven Herbs Porridge“) for breakfast. I will have it for breakfast today as I usually do on January 7th. Click here to see my post that explains this tradition in more detail. Japan will bring bullet train to Florida? 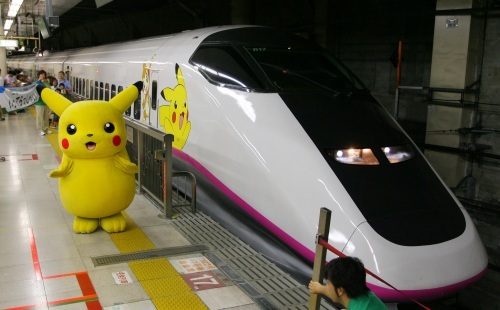 Japan is well-known for it’s excellent public transportation system. Especially in big cities like Tokyo. Japan’s trains, buses and subways are clean, safe, extremely punctual, convenient and affordable. Even though the taxis here aren’t really affordable (a taxi ride in Japan is pricey), they’re also clean, safe and convenient. You may also know that Japan has an excellent 「新幹線」 (“Bullet train” (or “Shinkansen” in Japanese)) system. 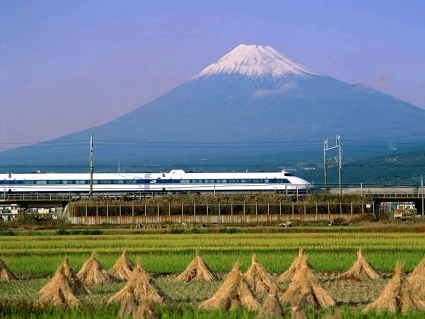 "Shinkansen" (Bullet train) passing Mt. Fuji. 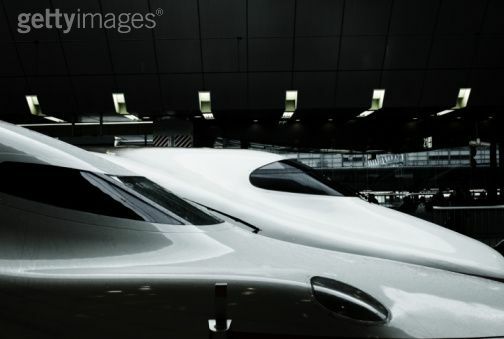 Japan’s 「新幹線」 (Bullet train) system is the world’s busiest and fastest bullet-train service. 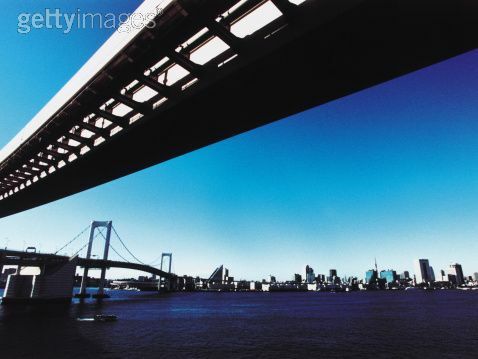 The speed record was set a few years ago when the 「新幹線」 (Bullet train) reached a speed of over 580 km/hr on a test-run. With passengers though, the trains travel up to about 300 km/hr. When U.S. President Obama announced that America would begin building and using bullet-trains systems in various parts of America with the first one scheduled to connect Tampa, Florida (my hometown) to Orlando and Miami, Florida many bullet-train companies around the world began bidding for the contract to build Florida’s first high-speed train service. Map of Florida showing the planned bullet-train routes. 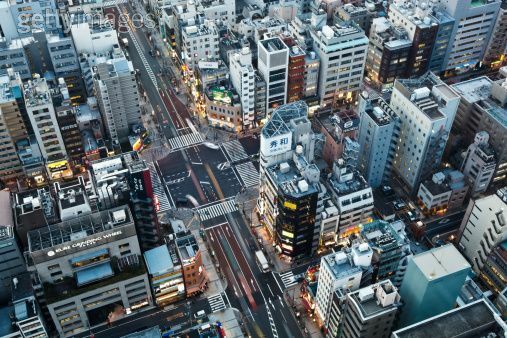 Companies in Canada, Germany and France are competing with Japan for the contract. But it seems that Japan’s JR Tokai company has a good chance of winning the bid. 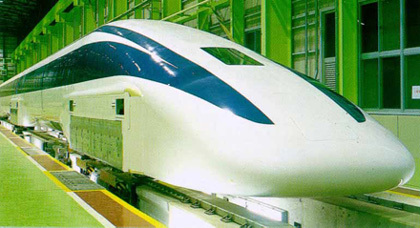 If Japan wins the bid then Florida will have a 「新幹線」 (Bullet train) system like Japan’s. One of JR Tokai's 「新幹線」 (Bullet train) trains. I wonder if America will be able to maintain the punctuality, safety and convenience of Japan’s train systems. Have you ever ridden a 「新幹線」 (Bullet train) in Japan? Or any of Japan’s trains or subways? Have you taken public transportation in other countries? I grew up in the Tampa Bay area of Florida. I left there two decades ago…but it’s still where I grew up. So I was interested when I heard a story on the TV news recently that involved both Tampa, Florida and Japan. 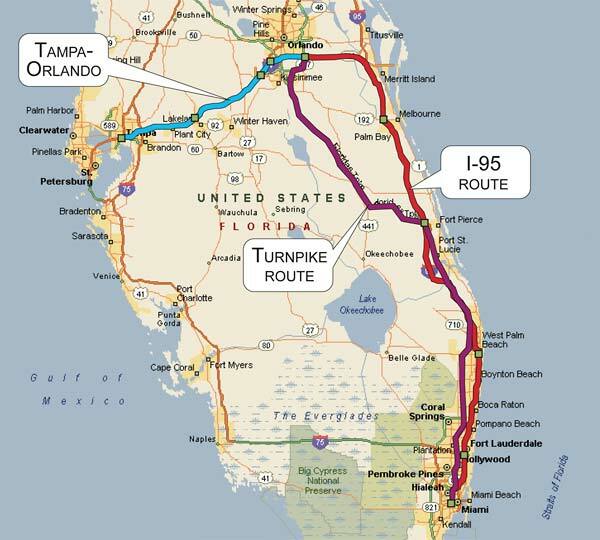 The news said that Florida plans to build a 新幹線 (bullet train) line from Tampa to Orlando and continue on to Miami. When I lived in Florida, there was no public transportation system to speak of…and definitely no train—especially a bullet train! Many countries, including Japan, are putting bids in to build this new train line for Florida. The trains in Japan are spotless, safe, and extremely punctual. But I wonder if it’ll be the same situation in America, even if Japan builds the bullet train system for them…because a big factor in Japan’s excellent public transportation system is not only the technology but also Japan’s culture itself. Until yesterday, Japan had a fifteen year 時効 (Statute of Limitations) for murder. That meant that if someone killed another person in Japan and the police couldn’t catch them with that time limit they would be free of any chance of prosecution for that crime from then on. But a new law was passed yesterday that completely abolished the Statute of Limitations for murder…and it’s retroactive. So there is now no Statute of Limitations for any murder committed on 1995 April 28 or later. Actually, this bill was rushed through the Japanese Senate in order to be passed yesterday because there is an unsolved murder case that occurred on that exact date of 1995 April 28…so if this bill wasn’t passed into law yesterday, whoever it was that stabbed an elderly couple to death in their home and then burned their house down (apparently in an effort to cover their crime) would be free from any possibility of being punished for that heinous crime. But now there is no longer a time limit for the police to catch murderers in Japan. The world’s oldest man, Henry Allington from England, died today at the age of 113 years and 42 days. As with most kids all over Japan, my daughters began their school’s 夏休み (summer vacation) today. They will return to school on August 25…so they’re off from school for about five weeks.In Japan, the new school year begins in April, not after summer holidays…so they’ll return to the same class. Also, in Japan, kids get alot of 宿題 (homework) to do over the summer. My oldest daughter also started her first day of work at her first part-time job today. She began working at Domino’s Pizza. 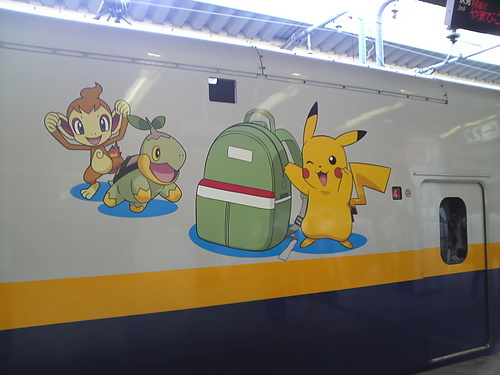 To attract families with kids to travel by 新幹線 (bullet train) to go somewhere during their 夏休み (summer vacation)…新幹線 (bullet trains) in Japan have been painted with pictures of characters from the 「ポケモン」 (“Pokemon“) cartoon. 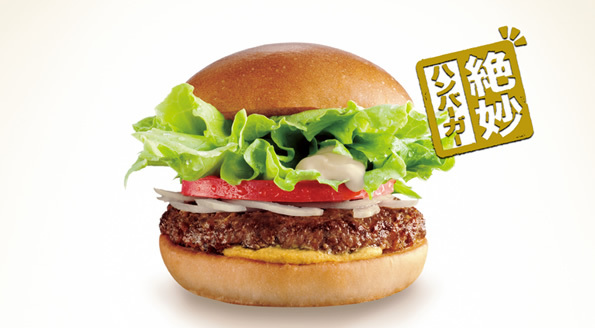 The fast-food chain, Lotteria, in Japan has started a “money-back guarantee” for it gourmet 「絶妙ハンバーガー (“Zetsumyou (Exquisite) Hamburger“). If you buy one and don’t like and return more than half of the burger, they will give you a new one (in case the first one simply wasn’t prepared properly)…if you’re still not satisfied (and return more than half of the second one), your money will be refunded. Today and tomorrow we are taking my oldest daughter to look at a few high schools to help us decide which one she should go to next Spring (she’ll start 高校一年 (10th grade (first year of high school in Japan)) in April). They grow up too fast! Yesterday we went to 銀座 (Ginza) and 上野 (Ueno). And at 上野 (Ueno), we went to a junk-food store that sold ラムネ (Ramune), which is a popular (especially in the summer) carbonated drink in Japan. It has a distinctive bottle with a marble in the neck. It usually has a lemon flavor…but this store had many odd flavors and there was a sign that said 「まずいラムネランキング」 (“Top Ten Worst Ramune Flavors”)! 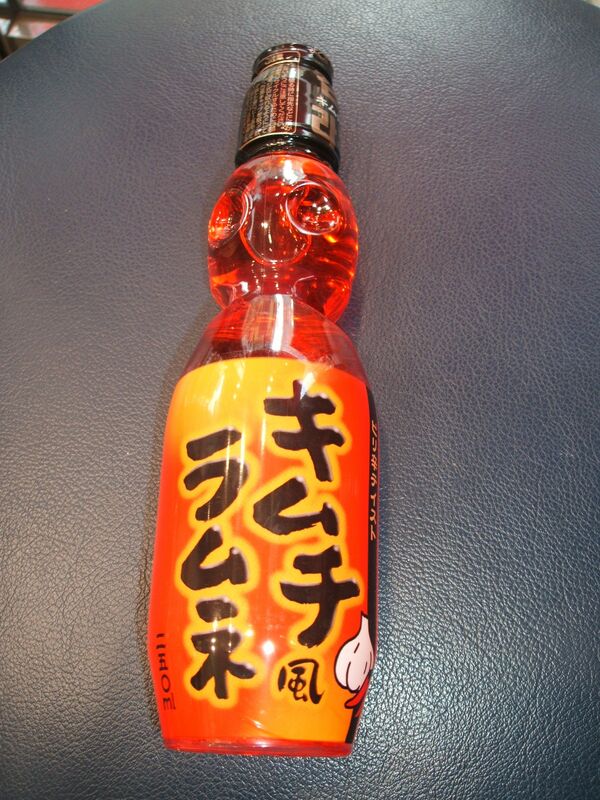 “Wasabi Ramune“, “Curry Ramune“, and “Takoyaki Ramune“…but the “#1 Worst Flavor” was 「キムチ・ラムネ」 (“Kimchee Ramune”)! So I had to buy it! I’ve haven’t tried it yet. I’ll let you know how it is. From there, we went to a カラオケボックス (“Karaoke Box”), which is a private room for singing Karaoke (you can also order food and drinks from a menu and they’re brought up to the room you’re in). I’m a terrible singer…but my kids enjoy it. A wild monkey got into busy 渋谷駅 (Shibuya Train Station) in Tokyo. Over thirty police officers attempted to capture it, but the monkey managed to flee the train station.There are wild 日本猿 (Japanese monkeys) in the countryside but in the city they’re usually only seen in the zoos. The American Navy’s nuclear aircraft carrier, U.S.S George Washington, will be stationed in 神奈川県横須賀市 (Yokosuka, Kanagawa Prefecture) soon. There are a number of Japanese people who are against the ship coming here, mainly because it’ll be the first nuclear-powered ship to be stationed in Japan.The fact that there was a fire onboard the carrier last Spring compounded their worries. (You can read my earlier post about the USS George Washington coming to Japan). And now, it’s been reported, two sailors from the ship have been arrested last weekend in California, USA for murder!